The diet and journeys taken by those who lived in the Sahara Desert thousands of years ago are being analysed through their teeth and bones. Our knowledge of past civilisations is gleaned from what is left behind – the shards of pots, traces of dwellings and goods from graves. And just as these are clues to the everyday behaviours of individuals long gone, so too are their bodily remains. Locked in their teeth and bones is information that scientists can use to reveal how they lived, such as the food they ate and the distances they travelled. Dr Ronika Power and Dr Marta Mirazon Lahr from Cambridge’s Leverhulme Centre for Human Evolutionary Studies (LCHES) with Dr Tamsin O’Connell from the McDonald Institute for Archaeological Research are reading these ‘biographies in bone’ in the skeletons and skulls of people who lived up to 8,000 years ago in the Sahara Desert and across the African continent. The remains are among those of 18,000 individuals housed in the University of Cambridge’s Duckworth Laboratory – one of the world’s largest repositories of skulls, skeletons, death masks, mummies, hair bundles and blood samples, including a jawbone tens of thousands of years old. Bones from 19th-century plague pits sit alongside axe-cleaved skulls from Iron Age battles, together with the cast of fossil of an early hominin who lived around 3 million years ago, and medically important skeletons distorted by diseases that, with today’s drugs, would never have the chance to run their course. To describe the ancient Saharan diets, the researchers are measuring the levels of chemical entities called isotopes in the remains. Biological tissues are reservoirs for elements such as carbon and oxygen, which arrive in the body through the food we eat and the environment we live in, and which have variants (isotopes) that can be measured. Isotope ‘signatures’, together with the geographic distribution of the shape and size of skulls, can therefore be used to look for evidence of migration in ancient populations. “Discontinuities between what the teeth tell us and what the bones tell us may provide evidence that the individual migrated. 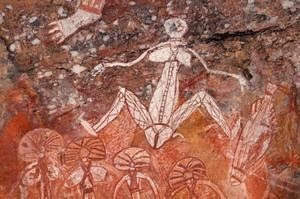 This in turn opens up questions about the interconnectedness of peoples – the movement of individuals, ideas, knowledge and material culture at very early stages of civilisation,” said Power. Their work has focused on a group of 120 individuals who lived in pre-Dynastic Egypt around 5,000 BC, two-and-a-half millennia before the pyramids of Giza were built. Tiny scrapings of tooth enamel have been taken from the remains and are currently being analysed for their isotopic content. 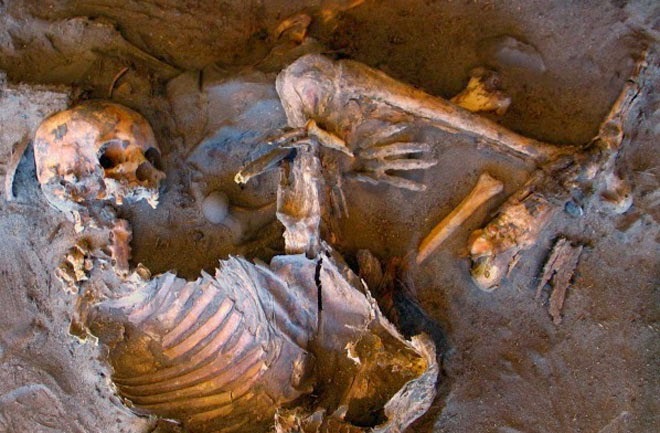 These analyses run parallel to those of samples from skeletons of the Garamantes civilisation, who lived in the central Sahara from 1000 BC until AD 1500. The Garamantes samples are being analysed as part of the Trans-Sahara project, which is led by Professor David Mattingly (University of Leicester) and is funded by the European Research Council. “The little we know about the Garamantes is that they developed sophisticated irrigation systems to cultivate the desert and also that they were traders. There seems to have been an astonishing degree of commercial activity – trade routes across the Sahara linked settlements that were like islands in a sea of sand, and with these came gold, Roman wares, olive oil, ebony, textiles and probably slaves,” said Power. “Studies such as this highlight the critical role that human remains play in the study of our past – from the life of individuals, to the composition of societies, to cultural aspects. Alongside archaeological and ethnographic artefacts, they provide the basic evidence of life in the past,” added Mirazon Lahr, who is Director of the Duckworth Laboratory. 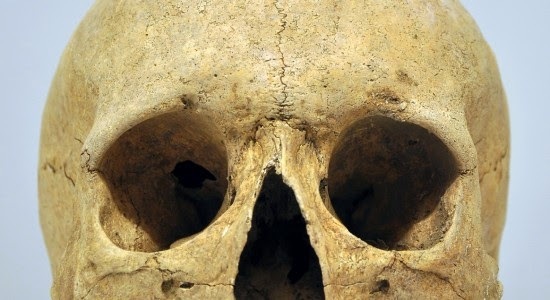 “New technology is exposing information preserved within the remains as never before – whether it’s genome mapping of humans and their ancestors, or using CT scans to determine differences in the thickness of skull bones – scientific techniques are transforming the nature and extent of the information we can obtain from human remains. And it is now even possible to look for the evolution of disease-resistant genes that are pertinent to modern medicine.